Spring is just around the corner and consumers are scheduling time off form work and family vacations. A lot of these consumers will come to South Florida and stay in one of the many Miami vacation rentals. Every year numerous complaints come in to ConsumerAffairs.com, the Internet Crime Complaint Center (IC3) and the FBI from individuals who have fallen victim to scams involving Miami Beach accommodations and Miami vacation rentals, as well as from online real estate postings. One couple after looking at many Miami vacation rentals booked their Miami Beach accommodations from an ad off of CraigsList.org. They were told that the vacation property was clean and that they had a bay view so the couple paid an $1800 deposit and headed to South Florida. After driving seven hours they we were horrified at what they found. Their Miami vacation rentals were behind a hotel and there were empty garbage containers and boxes next to the building. Their Miami Beach accommodations were on the second floor accessible only by an outside stairway that had broken and rusted railings. Each year millions of dollars are stolen from victims of various Internet crime schemes. Here are some tips offered by the Feds that will assist you in being informed prior to entering into transactions over the Internet and help protect consumers from rental scams. • Never wire funds to someone you do not know. • Check with the county recorder in that state and see who owns the property. • If applicable, call the property manager or association and ask about the landlord. • Ask for a rental application. Most well managed properties require an application. • Find out how much of a security deposit is allowed to be collected in that state. 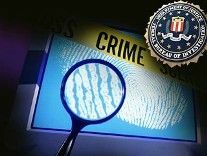 To file an internet crime complaint go to... Internet Crime Complaint Center (IC3).